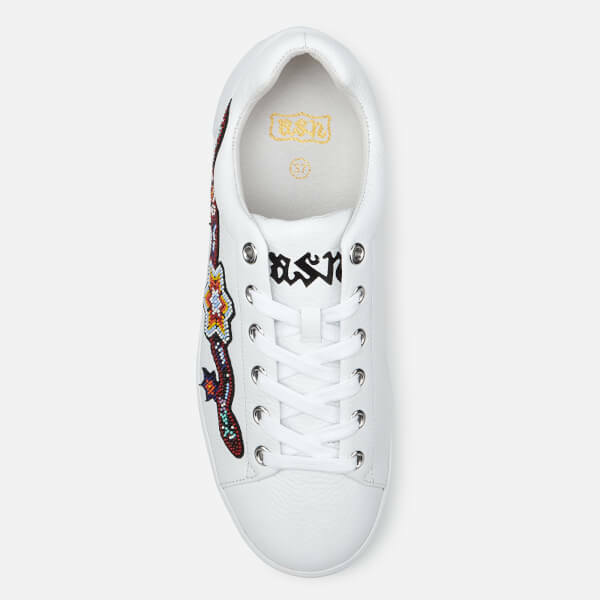 Women's 'Namaste Tumble' low top trainers from Ash. 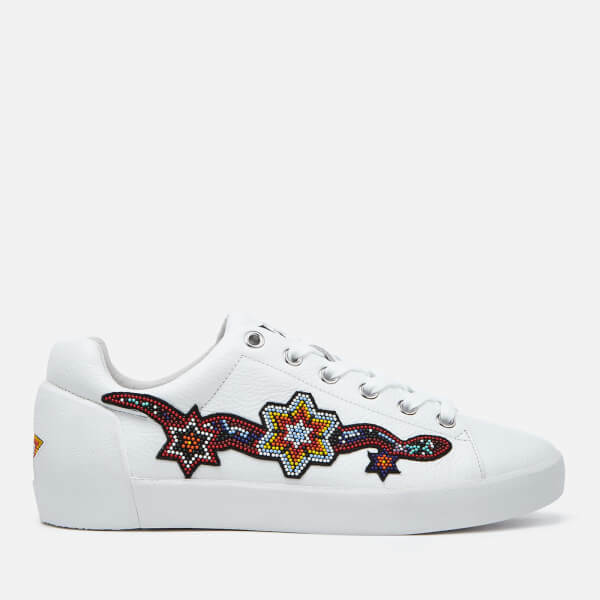 Crafted from textured leather, the sneakers comprise a rounded toe, a tonal lace-up fastening and silver-toned metal eyelets. Accentuated with multi-coloured beaded appliqué detail to the side and heel. Ventilation eyelets also feature. Set on a durable, chunky rubber sole with a patterned tread for added grip. Complete with branding to the tongue.